Bleriot 67 with four 100hp Gnome 9B engines. Only one built. Herewith a Patent drawing of Bleriot showing the special engine configuration, very closely resembling the real Bleriot LXVII. The placement of the four engines was intentionally as closely together as possible, without coming dangerously close to the fuselage. 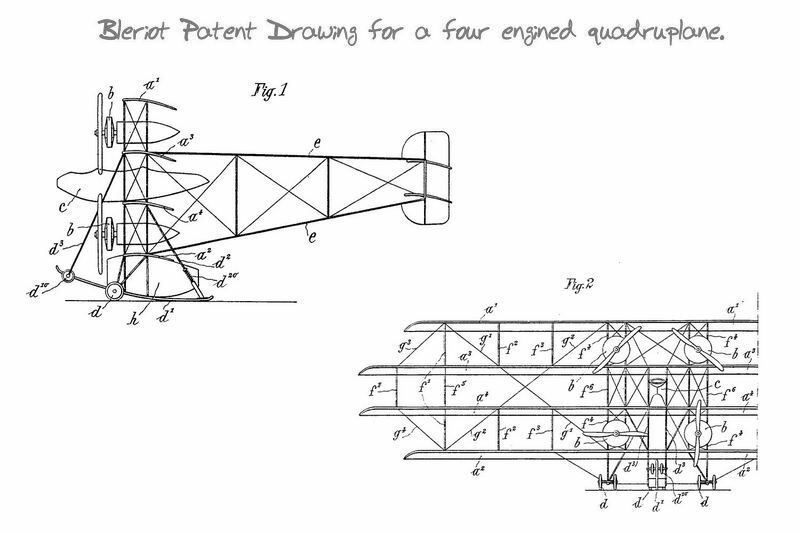 A Patent drawing of Bleriot for a four engined quadruplane machine.